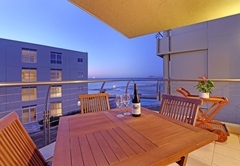 Lagoon Beach 231 is a property providing self catering in Milnerton for up to 4 guests visiting the Blaauwberg region. 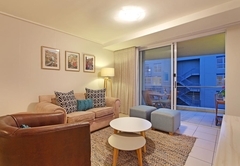 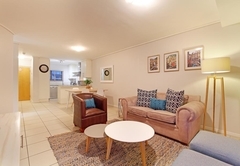 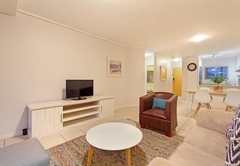 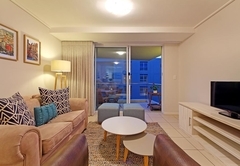 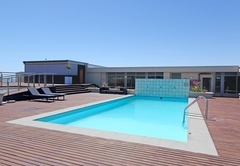 Situated in the secure Lagoon Beach complex in Milnerton, Lagoon Beach 231 offers self catering accommodation for four guests. 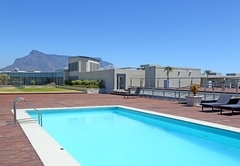 The complex boasts wonderful views of Table Mountain and the Atlantic Ocean. 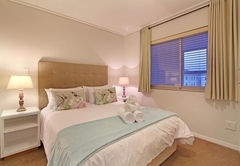 The apartment has two bedrooms and two bathrooms. 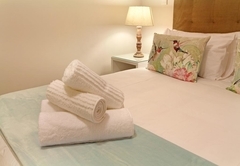 Both rooms are furnished with Queen-size beds with bed linen and towels provided. 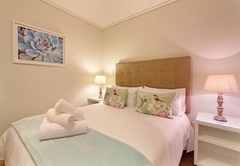 The main bedroom has a bathroom en-suite (bath only) and there is a guest bathroom with a shower. 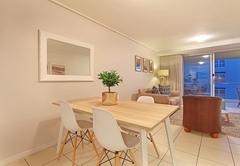 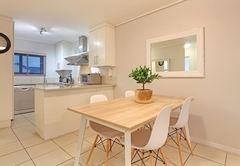 There is an open plan lounge, kitchen and dining area. 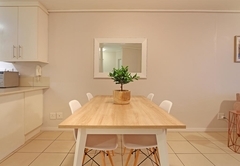 The lounge and dining room are comfortably and stylishly furnished and include DStv. 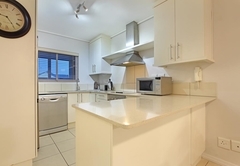 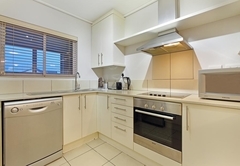 The kitchen is equipped with all you might need for your self catering holiday and includes a dishwasher. 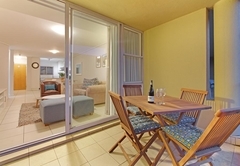 The lounge opens onto a furnished balcony. 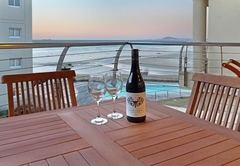 Attractions include the nearby Canal Walk Shopping Centre, Intaka Island and a number of restaurants such as Maestros on the Beach, Ilha and Wang Thai. 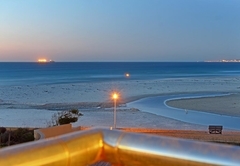 The West Coast is a short drive away and central Cape Town is easily accessed on the myCiti bus route. 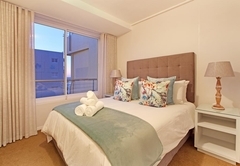 This beautifully decorated self-catering apartment displays picturesque views of the Atlantic Ocean, which can be enjoyed from the apartment's balcony. 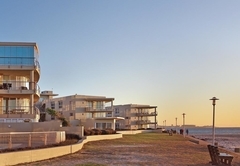 Response timeLagoon Beach 231 typically responds to requests in 5-10 minutes.